Professional refrigerator repair in Pittsburg - HIGHLY RATED! We are top professionals when it comes to refrigerator repair in Pittsburg. 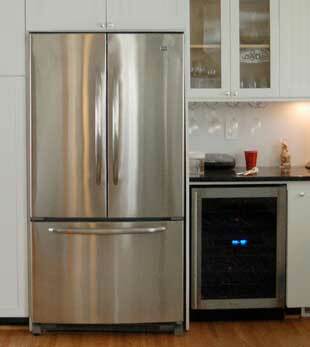 Our company specializes in the repair of all brands and models of refrigerators and other kitchen appliances. We even do European brands, high-end appliances as well as custom. It does not matter how complicated the project is, our experienced and highly skilled team can handle a project of any difficulty level. We are factory trained and certified by all the following brands: Bertazzoni, Bosch, Decor, DCS, Electrolux, Fisher & Paykel, Frigidaire, GE, Jenn-Air, KitchenAid, LG, Liebherr, Marvel, Perlick, Samsun, Siemens, Sub-Zero, Thermador, Traulsen, True, Viking, and Whirlpool. Our technicians will quickly diagnose your broken refrigerator, get the right parts for it and professionally install those parts. They will do what it takes to make your refrigerator work great again. 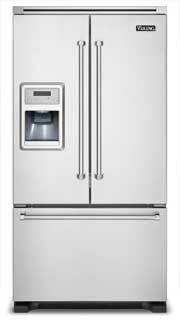 Our company has huge experience in the field of appliance repair and in particular refrigerator repair. We have been around for more than 30 years, and all this time we have been helping our clients to keep their appliances in good shape. Our company Top Home Appliance Repair is a family run and family managed a local business. We have two offices. One is in Los Angeles, and one is in Pittsburg. We do both commercial appliance repair and residential appliance repair. So if you have a restaurant or bar with a commercial kitchen, we can help you as well. Our company prides itself on being always in the know on the latest appliance related technology. If your want your refrigerator to be handled by true professional you have to call us. And we guarantee that your appliance will work great after an appointment with us. If you need best refrigerator repair in Pittsburg, all you have to do is give us a call at 925.265.7782 or fill out our short contact form. We will create a convenient appointment for you. Next step will be preordering the parts for your refrigerator. Once we get those, our tech will be on his way to your house. He will bring with him all the parts, tools, and equipment needed for your particular project. He will be totally ready to help you out. Why pick us to do refrigerator repair in Pittsburg for you? We should be your number one choice because we have the skills and the experience that other companies do not. We have more than 30 years of hands on appliance repair experience. Also, each one of our talented appliance repair in Pittsburg specialists is factory trained and certified to do their job. They know all the aspects of refrigerator repair from A to Z. They are taught to be detail oriented and thorough with their work. Also, our team is friendly and helpful and will treat you with respect throughout the process. Our goal is not just to give you perfectly functional refrigerator but to make the whole appliance repair experience as fast and as convenient as possible for you. For refrigerator repair in Pittsburg, please call us at 925.265.7782 or you can fill out our short contact form. We would love to talk to you and answer all of your questions. Customer satisfaction is guaranteed! We are top professionals when it comes to refrigerator repair in refrigerator repair in Pittsburg. Our company specializes in the repair of all brands and models of refrigerators and other kitchen appliances. We even do European brands, high-end appliances as well as custom.